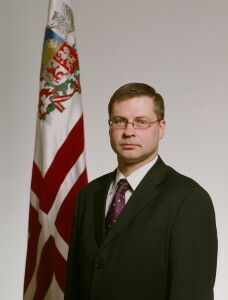 Latvian Prime Minister Valdis Dombrovskis has expressed indirect support for Catalonia’s efforts toward independence, as reported by Catalan ACN agency. He is already receiving gratitude from Catalonians on his public network pages. “If there is a clear will of the people and need for a referendum, we need to take that into account and seek means to make it real,” – said the Latvian PM. He said that there can be no objections against Catalonia’s independence if the decision to detach from Spain is made in a “legitimate way”. PM’s press-secretary Mārtiņš Panke says Dombrovskis was very careful in his interview to ACN. He was largely neutral about this. The Catalan media interpreted this in its own positive light. Latvian PM had also noted that the Catalan Way, which was largely inspired by the Baltic Way and a “very strong motivation”, is a very important event that is worth looking into. Dombrovskis had added that the Catalan Way was an important step forward for the country. It represents the same way the three Baltic States had once gained the recognition of the entire world.” We managed to attract the attention of the West. The saw what was happening, that it was serious,” – he said. Dombrovskis also admitted there are no obstacles that could potentially prevent Latvia from recognizing an independent nation that could soon appear in Europe. The ‘Catalan Way towards independence’ was a 400-kilometre-long human chain that linked 1.6 million Catalan independence supporters. Participants joined hands as the chain stretched from the French border in the north all the way through major towns and cities until Valencia in the south. The event was inspired by the ‘Baltic Way’ that took place in 1989 and involved citizens from Latvia, Estonia and Lithuania who made a human chain to campaign for independence from the USSR. 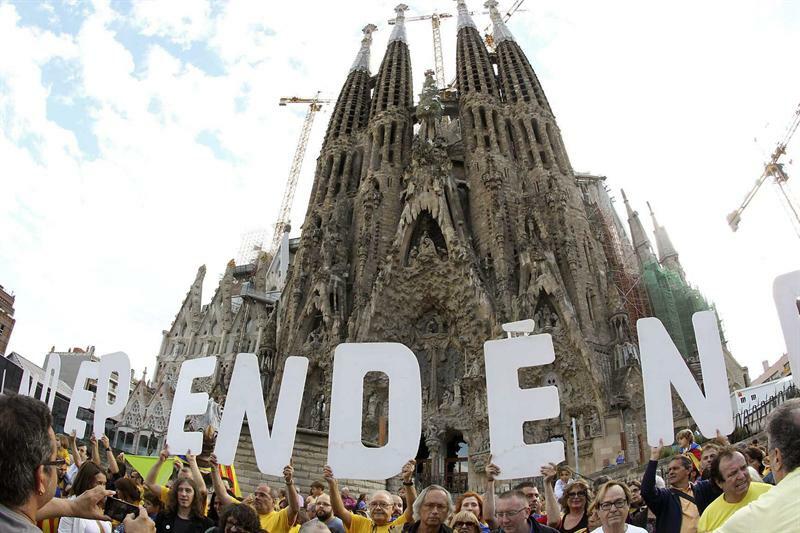 Catalan independence supporters joined hands on Wednesday at the historic time of 17:14 (11th September of 1714 is the date when Barcelona was conquered by the Bourbon troops in the Spanish War of Succession) on Catalonia’s National Day and formed a huge human chain. The Latvian Prime Minister stated that the human chain is a “powerful signal” that is “worth paying attention to”. The event built on last year’s demonstration on the same day, 11thSeptember, in which around 1.5 million Catalans assembled in Barcelona city centre to call for a referendum to take place that will decide if Catalonia remains part of Spain. The Latvian Prime Minister noted how, “it is being discussed right now”, the issue of whether new European states originating from a current Member State would gain instant access into the EU, or if they would have to “act as an accession country”. Both Scotland, which is set to have a vote on independence from the UK in September 2014, and Catalonia are evaluating the dilemma. Dombrovskis stated that “there are different options” for a newly independent country, however, the issue “is not being worked on with a sense of urgency”. However, he admitted that some discussions have already taken place at EU level about what would happen if a territory of a Member State secedes, but a final decision has not been taken yet. “It would definitely be good for people to know so that when they vote, they know the consequences”, he continued. Dombrovskis revealed that so far Latvia has “not formulated an official foreign position” on whether it would officially accept a new country that were to gain independence within the EU. However, if there were “legitimacy in their process, then I would say, theoretically, why not”, he stated. He noted how the 1989 ‘Baltic Way’ that linked Latvia, Lithuania and Estonia was “one of the milestones towards independence because this was something that caught the attention of Western countries”. The event united people from all classes and walks of life and showed to the world that “something serious going on, and that they should be actually be engaging more actively with what was happening in the Baltic states”. However he did reveal the uncertainty that followed the event. “There was a very clear will of the Baltic states to regain their independence, so the question was basically how the Soviet Union would react” he noted. There were essentially two events that could have occurred, “It would react with violence and a crackdown, or would it actually allow this [independence] to happen”. The human chain can be considered a success as Latvia gained independence two years later in 1991. “we can feel very happy that we were eventually able to restore independence in a very short time and relatively peacefully way”, concluded Dombrovskis. 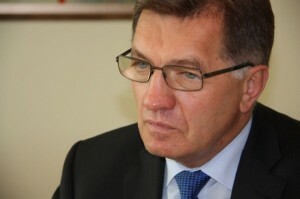 Prime Minister of Lithuania, Algirdas Butkevicius, stated that each country “has to find its own way” and “has the right to self-determination” when he was specifically asked about Catalonia’s human chain. Lithuania is holding the European Union Presidency from July to December. The CNA interviewed the Lithuanian Premier on the occasion of the 400-kilometre human chain ‘Catalan Way towards independence’, which was inspired by the ‘Baltic Way’ of 1989 requesting the independence of Lithuania, Latvia and Estonia from the USSR. The ‘Baltic Way’ united in an uninterrupted and peaceful human chain Tallin, Riga and Vilnius; two years later the 3 Baltic states became independent. Butkevicius said he was “very happy that the Lithuanian model inspires people from other places”, as with the Catalan human chain. “I welcome all peaceful ways to express the people’s solidarity and the [right to] self-determination”, stated the Prime Minister of Lithuania. However, Butkevicius underlined that any self-determination process has to be developed “according to the legal basis”, including “international law”. He explained that Lithuanians “developed” their own legal framework in order to proclaim their independence from the Soviet Union in 1990. In addition, he pointed out that “today the situation within the European Union is completely different”, since the “the EU is a democratic union of states that respects political rights and is based on free will”. He also added that Catalonia’s independence has to be discussed “within” Spain. Nonetheless, when he was explicitly asked about Catalonia’s human chain, he stated that each people “has to find its own way” and “has the right to self-determination”. Butkevicius, who is the leader of the Lithuanian Social-Democrat party, also stated that he feels “very happy” that Lithuania’s example can “inspire” other people. He emphasised that the ‘Baltic Way’ “now belongs to the entire humankind”, as it was recognised by UNESCO. “Lithuania recovered its independence in a unique way. It might be considered as a model for humankind to reach independence in a peaceful way”, he concluded. Finally, Butkevicius emphasised the existing economic ties between Catalonia and Lithuania, with Catalan investments in the Baltic country. The Prime Minister also “invited other entrepreneurs” from Catalonia to set up an economic co-operation with Lithuania.